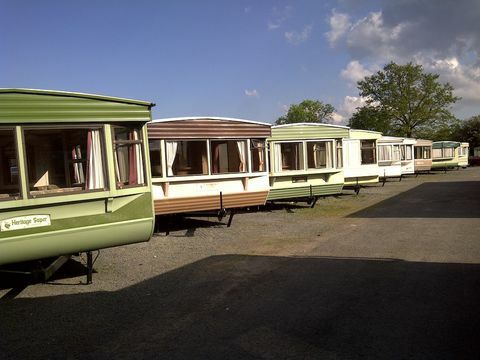 Steve Finney Caravans is a family run business that has been specialising in the transport and sales of static holiday homes since 1965. With our sales yard located just outside Mamble on the A456 near Kidderminster in Worcestershire, and with a constant ever changing stock list you will be spoilt for choice. Being a family run business we strive to offer the best in value and condition available, and only after a full valet and inspection are holiday homes offered for sale. We are sure you will not be disappointed when you purchase a pre owned holiday home from us. So don't hesitate, contact us today for an up to date stock list, or come and visit our sales yard. Content Copyright © 2017-2019 Steve Finney Caravans. All Rights Reserved.